Belly fat is a cause of concern for millions around the world, and with right reason. Studies have shown people with tummies overflowing with belly fat are at a greater risk of developing heart disease, cancer and many others. However, this ‘pandemic’ can be greatly curbed if you make a pledge to follow an apt nutrition and fitness regimen. This regimen should be geared to improving overall fitness, rather than just focusing on a particular body part. Maintain a balanced diet: And by that, I mean eat everything in moderation. Crash diets and popping diet pills have an adverse affect on your metabolism. The body needs ample nourishment from the right foods to keep itself healthy and free of disease. To begin losing belly fat start with some obvious villains such as trans fats (doughnuts, French fries, cream cookies, butter and candy bars) and high fructose corn syrup. These processed food substitutes wreck havoc on your quest for less belly fat. By reading labels you will become and expect at recognizing these culprits. Consume monounsaturated fats found in avocados, dark chocolate, nuts (raw almonds, walnuts, sesame seeds, pumpkin seeds and hemp seeds) and olive oil. In addition to omega 3 oils – flaxseed, hempseeds, fish oil, instead. That said, indulge in your favorite foods once in a while, but keep your focus on less sugar, processed foods and more belly fat fighting cruciferous vegetables (Broccoli, Cauliflower, brussel sprouts, and Cabbage), Citrus fruits, red raspberries and white meat. The effects of eating fatty, refined foods tend to show most around your tummy area, so always start with the food you put in your mouth. Follow a comprehensive exercise plan: The common mistake people make while losing belly fat is solely focusing on the stomach region (abs only) without paying any attention to their other body parts. This short sided approach just doing ab work such as crunches will yield no results. 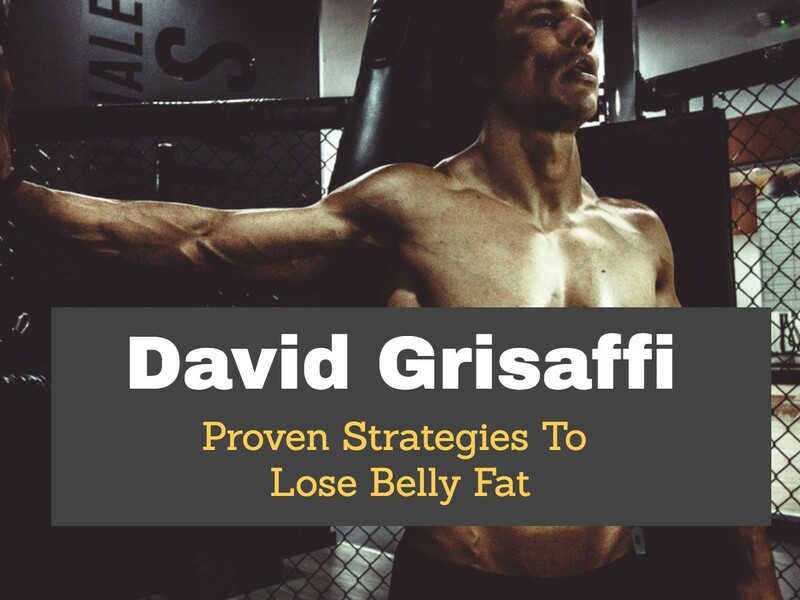 You must get your entire body working to lose fat, especially belly fat. Aerobic/ cardio exercises works wonders for overall weight loss (belly fat) when combined with ‘resistance training’, because these workouts burn more calories than a plain sit up/crunches ab routine. Remember to combine workouts, vary intensity and change your exercises to get optimum results. As a trainer of world class boxer I have had to make adjustments ever 3 weeks because your body gets used to a set routine, it becomes harder to lose belly fat. Getting a strong functional core should also be a high priority. This will ensure stabilization of the spine and reduce back injuries. Look to Bruce Lee for inspiration: Before you get jittery and think everyone here should strive to become as lean as the guy, relax. Lee had the best ‘abs’ back in his day, simply because he had perfected the ‘art’ of developing them. He concentrated on a set of specific exercises such as waist twists, side bends, leaning twists; sit up twists and leg raises to ensure there was not a shred of fat around his waistline- while also eating very healthy. He was a leader and looked the part. I was infatuated with him as a youngster growing up. He looked like an abdominal ‘god’. He advocated doing just about 2-3 of these exercises per day and tensing up your abdomen muscles as you curl your body, starting with raising your head first and then your chest before easing up again, Tightening your stomach muscles in short bursts while you work on your tummy makes it much more effective to ensure a firm and functional waistline. Although abdominal/core routines have blossomed in the from new studies over the past 10 years Bruce Lee was defiantly a head of his time. Weight loss is more mental than physical: As with any goal you set your sights on, you must fine tune your mind first and discipline yourself before you go out there and strive to achieve something. Train yourself to take on the challenges involved with weight loss; don’t give up if you don’t see results immediately or are just plain fed up of exercising because you get lazy in the long run. Exercise control over your body (mind over matter), resist temptation for the most part and pat yourself on the back when you realize you have lost even an inch around your waist. Encourage yourself, because no one can do that for you unless you have taken that first step. With these few simple, but crucial tips to abolish belly fat, you will be on the right track. Start slow, and then build up your exercises once you are more confident of going further. Don’t set unrealistic expectations for yourself, because that will only bog you down mentally. Concentrate on an overall long term goal of maintaining a healthy lifestyle first before you tone up specific areas of your body- in that way, you won’t get lazy once you have achieved your short term objective. hey there and thank you for your information – I have certainly picked up anything new from right here. I did however expertise some technical issues using this site, as I experienced to reload the site a lot of times previous to I could get it to load properly. I had been wondering if your web host is OK? Not that I’m complaining, but slow loading instances times will sometimes affect your placement in google and can damage your high quality score if ads and marketing with Adwords. Anyway I am adding this RSS to my email and could look out for a lot more of your respective intriguing content. Ensure that you update this again very soon.. Please let me know if you’re looking for a writer for your site. You have some really great articles and I feel I would be a good asset. If you ever want to take some of the load off, I’d absolutely love to write some articles for your blog in exchange for a link back to mine. Please send me an email if interested. Thank you! My wife and i were so comfortable that Michael managed to complete his analysis through the entire ideas he came across out of the blog. It’s not at all simplistic to simply always be releasing helpful tips that many people could have been trying to sell. And now we see we have the blog owner to be grateful to for this. Most of the explanations you have made, the straightforward blog menu, the friendships you can make it easier to create – it is all awesome, and it’s making our son in addition to us feel that this matter is satisfying, which is certainly exceptionally vital. Thanks for all the pieces! I cherished up to you’ll receive carried out right here. The cartoon is tasteful, your authored material stylish. nonetheless, you command get got an edginess over that you would like be handing over the following. in poor health without a doubt come further previously once more as precisely the same nearly very often inside case you protect this increase.